The latest Dream Theater album, "Black Clouds & Silver Linings," takes the long-time progressive rock group into deep territory. 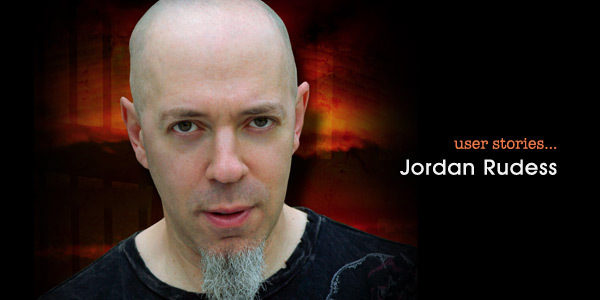 The new album features numerous examples of Omnisphere played by keyboardist extraordinaire Jordan Rudess - long-time Spectrasonics user, who had eagerly awaited the release of the flagship instrument from Spectrasonics. Says Rudess, "I was a real fan of the original Atmosphere when it came out, so I knew that Omnisphere was going to be good! Well, I was totally wrong - it wasn't just good it was GREAT! Actually, while recording the new Dream Theater record it was a major source of sonic inspiration. Every time I needed to come up with something special, I would go right to Omnisphere and the sonic magic would begin." Speaking about how powerful the editing is for sounds in the Omnisphere library, Rudess said, "One of the reasons Omnisphere is so attractive to me, is that it takes some of the most sophisticated concepts in synthesis and presents in a way that that is just so easy. One good example is the Flex-Mod system. The coolest things happen in synthesis when you take various sources (like and LFO or an envelope) and route it to a destination. Omnisphere has tons of sources and destinations! I've also always been a fan of timbre shifting and love to use that feature in Omnisphere. Man, there is nothing as cool as using the arpeggiator as a modulation source for timbre shifting. I think I spent a full afternoon playing with that!" "But of course the beauty of Omnisphere is that the library is so dense with awesome stuff, that one only needs to master the very intuitive search engine to get something that will surely please the sonic senses - and at the very least be really close to what you are imagining. Sometimes the only tweaks I really needed to do were simple things like changing the sample start point (which is so easy to do), tweaking a filter or a release time." 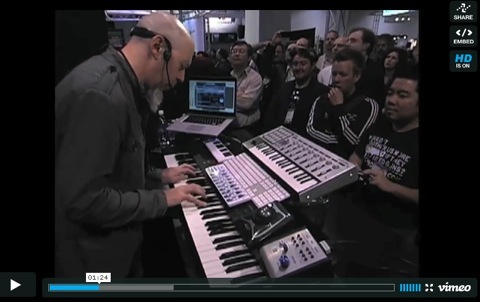 said Rudess. Describing the process for creating his custom Omnisphere patches, Rudess adds, "When building sound effects for the Black Clouds and Silver Linings album I could breeze through what would normally be complicated routings because Omnisphere makes routing completely intuitive. For example there is a very spacey pad sound in the song 'Count of Tuscany' which I wanted to add some custom sonic motion to. I layered about 8 different analog waveforms and then assigned multiple LFO's at different rates to the filters (of which there are many) both tweaking the cutoff filter and the resonance parameters." "This is a simple enough concept, but in Omnisphere the sonic party for me was having so much control over the harmonics using an array of cool filter algorithms, way beyond the basic simple filter types most synths offer. Also, the way Omnisphere will automatically use the next available LFO for this was seamless." Jordan continued about the infamous Burning Piano sounds in Omnisphere, "As one of the first people to experience the 'burn' of the Burning Piano patches, it was fresh on my mind. I told the guys about it and we all watched the video of the actual piano being recorded while in flames. Classic stuff - great sound - and we had to use it. Hopefully I'm one of the first to put it on a record because you know it will be on lots of recordings!!" On the included 'Symphony of Voices' sounds in Omnisphere, he added, "I used a lot of the choir sounds. Both the Heavy Vibrato Choirs and the Boys Choir sounds as well as the more pop oriented patches. We were looking for that classic '10CC' type vocal sound at one point and within moments I had something up that was perfect." And while he used Omnisphere pads, he also got into some deep rock sounds, "Of course there are many spacey sounds and beautiful pads and effects on the album as well courtesy of Omnisphere, but what was cool beyond that, is that I was able to get some very Dream Theater-like HEAVY sounds out of it as well. Sometimes working with the distortion in the effects section to dial in exactly what I was looking for. After the studio sessions were done I actually went back into Omnisphere and did some work combining some of the guitar tones to get some great layered sounds that I could use to make the album happen in the live arena."